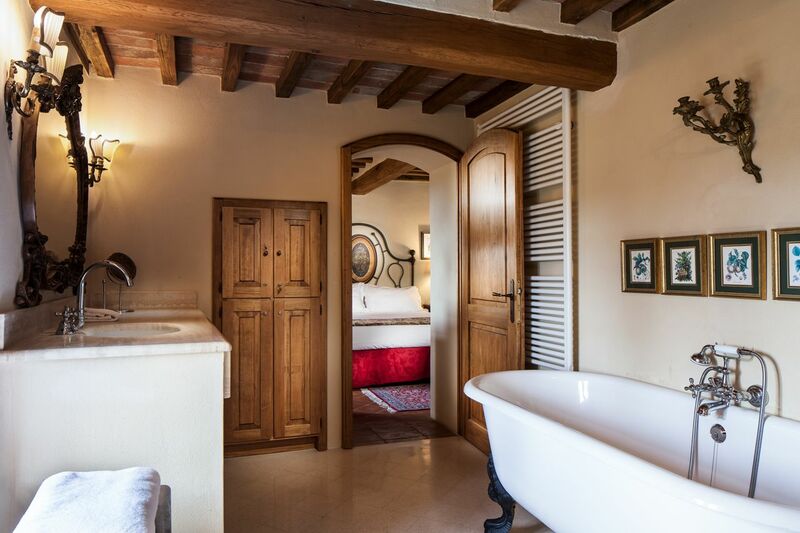 Oliva has a hand-carved travertine fireplace and a large bath with a free-standing soaking tub and separate shower. 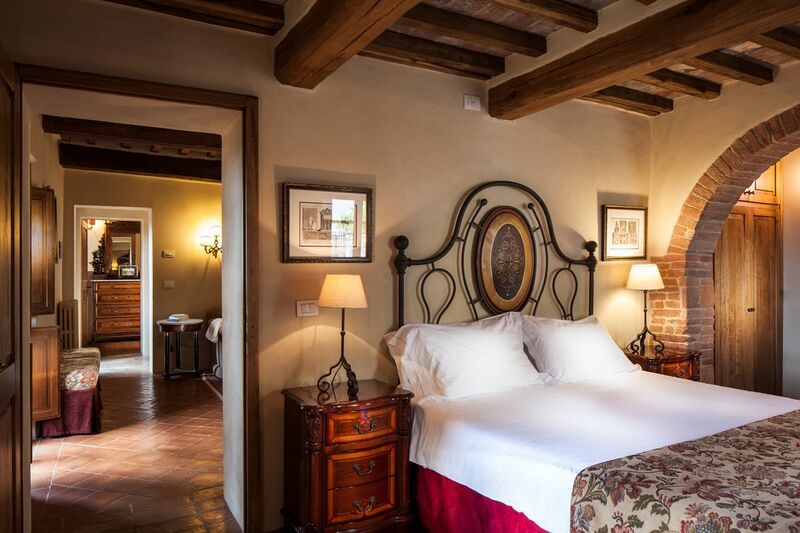 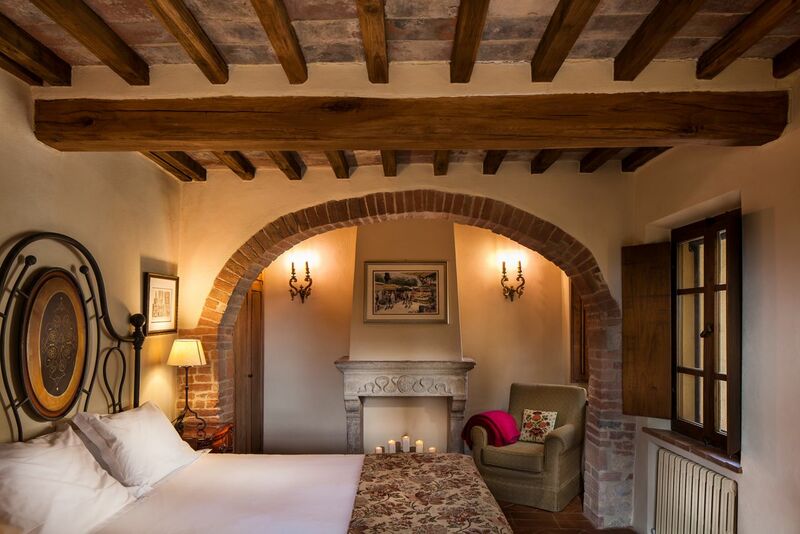 Double doors allow you to step beyond the original city wall onto a covered loggia with its panoramic views. 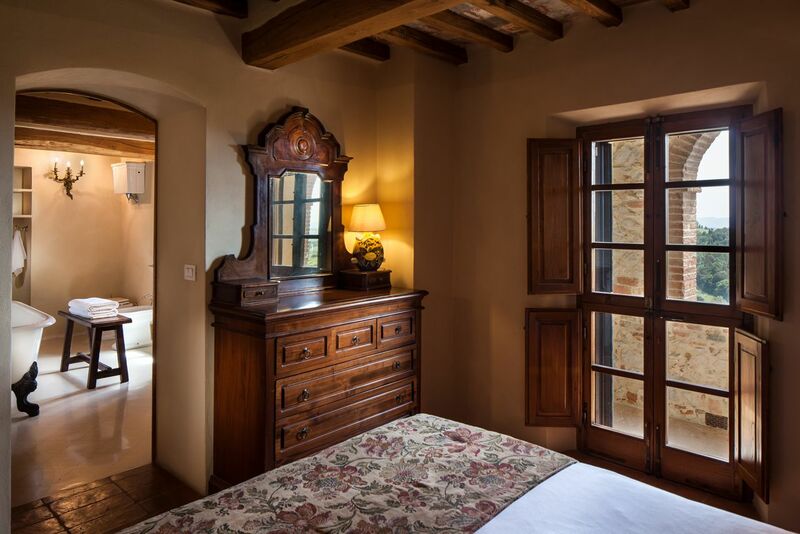 When you visit, notice the original preserved and four restored chestnut interior wood window shutters.